Insights into the world of interior design - straight to your inbox. 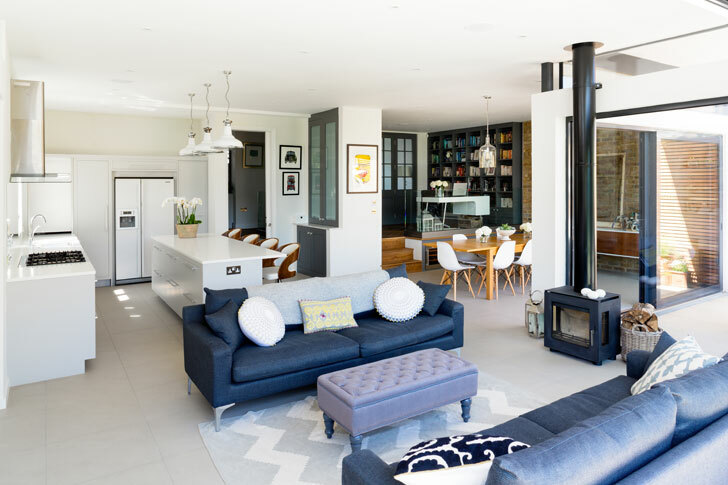 At interiordesigners.net we have found that there is an increasing demand for a ‘one-stop’ shop when it comes to projects which necessitate and architect and an interior designer. Instead of clients having to instruct separate practices, we are able to recommend a combined practice that deals with both. This joint approach means that projects involving the reconfiguration of the space and an interior refurbishment are considered together, resulting in a cohesive and seamless outcome. One of our designers, Linzi Kettle, is the interior designer part of the equation at Granit Architecture + Interiors. Linzi did an architectural degree, then joined Granit as an architectural assistant before moving over to the interior design side, so has a good understanding of both disciplines. We asked her about the advantages of working with a combined practice and what it entails. The architectural team draws up the plans and submits them for approval, a process that can sometimes be frustrating and time-consuming. Rather than being an annoying delay, however, the time spent waiting for planning permission is put to good use by Linzi and her team: ‘There may be aspects of the job we can progress with during the planning process,’ she says. 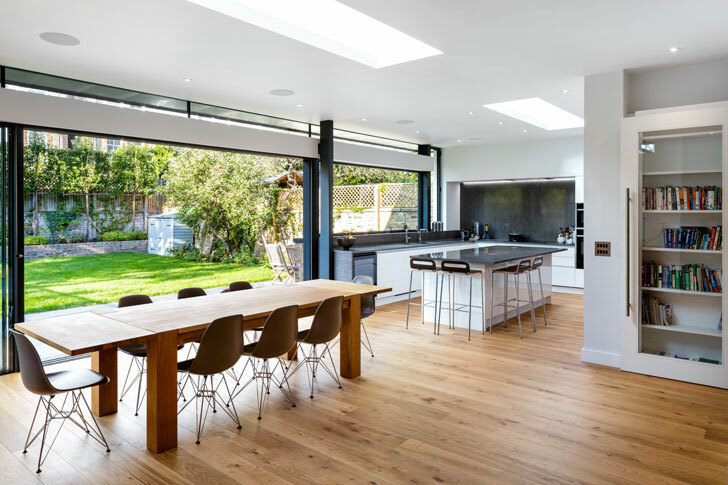 ‘For example, if we’re doing a rear extension as part of a whole house refurbishment, we can get on with the first floor bedroom and any joinery.’ Any risk of this being time wasted if planning is refused, is minimised as this work is usually in the pipeline anyway, whether or not permission is granted. Most clients, however, come to site meetings and bring a list of questions for the architect and the interior designer. Whether or not they can attend, Linzi always follows up with detailed minutes and phone calls to ensure they are kept in the loop. Many of Granit’s clients discovered the joys of a combined practice almost by accident. 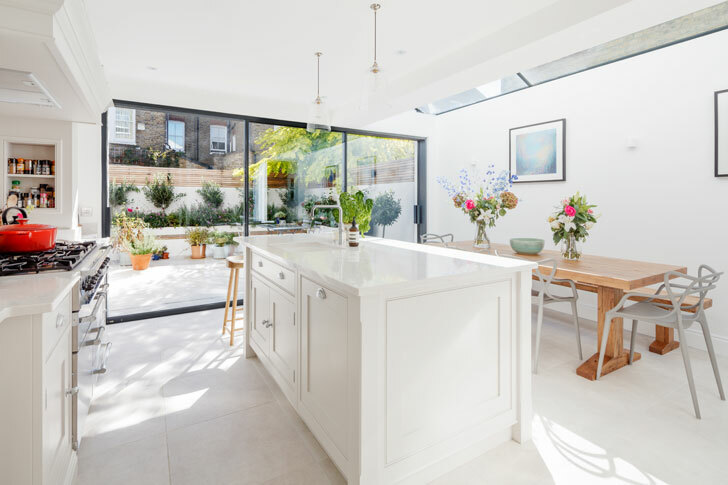 ‘They looked for an architect then found that we also offer an interior design service,’ says Linzi. At interiordesigners.net, we'll listen to your requiremens and recommend the type of design studio that is best suited to you and your project.